Sustainable, Ethical, or Slow Fashion: What's the Difference? Someone once asked why I make “sustainable” fashion, and I hesitated to answer. Was my clothing sustainable? Or was it ethical? Slow? Did it even make a difference? I’ve been on this journey toward more mindful consumption for years, and when this gave me pause, I couldn’t help but wonder how those who are new to conscious consumerism feel. What's the Difference Between Made-to-Order and Made-to-Measure Clothing? 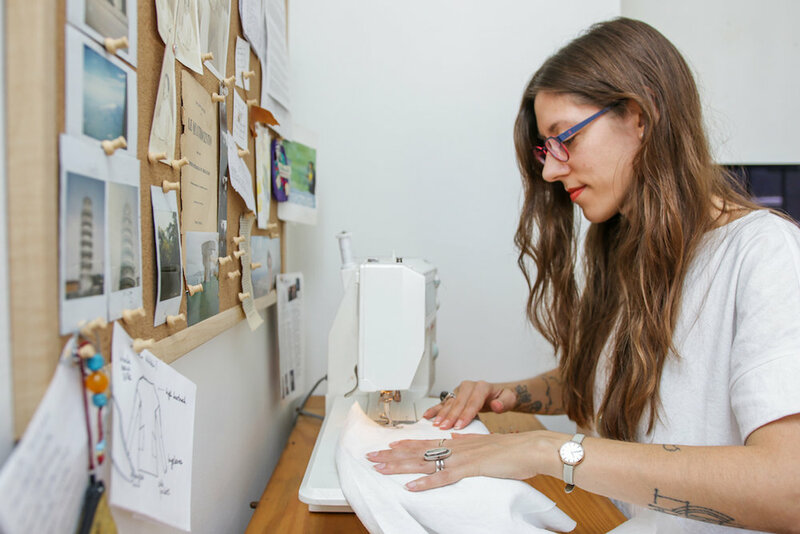 There’s nothing new about made-to-order clothing. Decades and even centuries ago, most of what people wore was made to order, and clients worked closely with tailors to ensure garments fit properly. Now, with consciousness around clothing and consumerism on the rise, more and more brands are adopting a “made-to-order” strategy. But what does that mean, and what’s the difference between made to order and made to measure? Sizing is arbitrary. I’m considered a petite in some brands and a medium in others. I’ve worn dresses that are size 2 and others that are size 6. I’ve worn size 9 jeans and size 26. And frankly, in a society that equates smallness with beauty, I wasted too many days pairing my self-worth with the number inside of a garment. Over time, the sizing of brands has shifted and expectations of women become more and more unrealistic, providing us with a no-win, moving goalpost based on a broken definition of beauty. I never want other women to feel less than because of an arbitrary number that often changes. My philosophy around shoes (and clothes in general) is to buy less, buy well, and take good care of what I own. A journalist asked me where the name CEDE came from. The easiest answer is that it’s a mashup of my name and initials, but there’s another, more expanded answer that I thought I’d share here.